With a lot to live up to, the Pitch Perfect sequel, which was released this past weekend, is not a disappointment to fans of the cherished a cappella comedy. 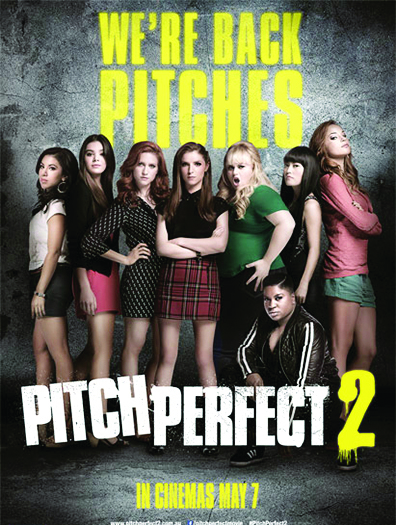 In Pitch Perfect 2, Portland’s own Anna Kendrick returns as the equally brazen and ambitious Beca Mitchell. The film flashes forward to Beca’s senior year at Barden University where the Barden Bellas have been reigning national a cappella championship winners every year since the close of the last movie. Another competition season is upon them, and naturally the Bellas have found themselves with the fate of their group on the line once again after a performance mishap. Some other favorite elements from Pitch Perfect return in the sequel, including an amplified version of a ‘Riff-Off’. The now underground face-off not only features revamped hit music that is sure to inspire you to find the nearest a capella group to join, but also features a star-studded cast. Many celebrities made cameos, including Snoop Dog, The Green Bay Packers and even the Obamas with a little help from computer editing. And while we may see less of Jesse and Beca in this film, the rom-com aspects of this comedy are shown in the form of budding relationships between some new and unlikely characters. 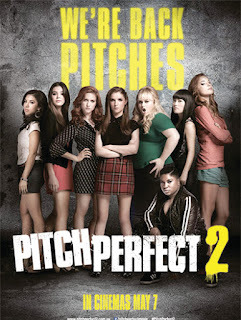 Past Bellas and Barden graduates make their appearances in the sequel, but it mainly follows the evolution of the beloved Barden Bellas and their futures as individuals as well as the fate of the a cappella community in general. While we may not see a third movie, it’s nice to know that the Barden Bellas are back, and they have finally found their sound.